To celebrate its 110th birthday, Bugatti will soon be launching a limited series of Chiron Sport hypercars flying the colors of the French national flag. 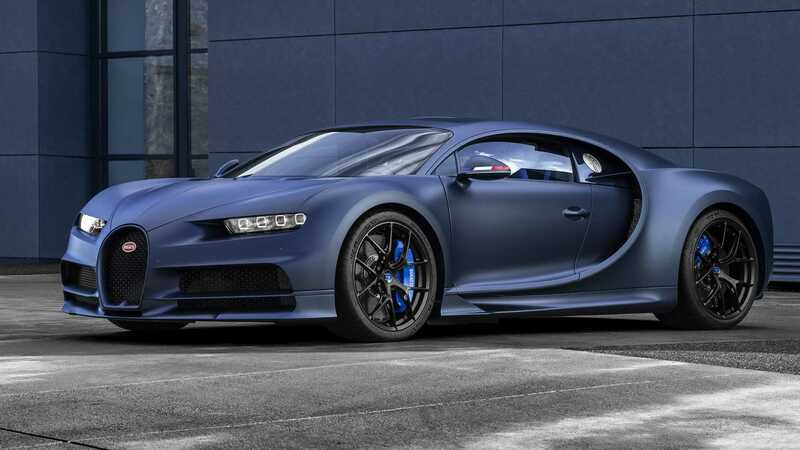 The exterior bodywork, the entire front fascia and the aerodynamic kit of the special edition Chiron will consist completely out of visual carbon. At the same time, it will preserve a number of its trademark features, such as the aluminum “horseshoe grille” and C-part. The body of the car, as well as its performance brake calipers, will receive a combo paint finish consisting of two shades of blue (matte and glossy). In turn, the power-assisted rear wing and the side mirrors will wear the abovementioned French tricolor. The new Chiron Sport 110 ans Bugatti also gets a four-pane panorama glass roof in base. Its interior makes extensive use of pale blue leather, Alcantara and carbon. The series will ship with the same 8.0-liter W16 engine rated at 1,500 hp (1,119 kW), enabling it to sprint 0-100 km/h (0-62 mph) in 2.4 seconds and ultimately hit 420 km/h (261 mph).